Hot shopping spots are varied and plentiful in the Greater Little Rock area. Big-name stores and hip new retail destinations populate the expanding west side, while Midtown offers two malls – one indoor, one outdoor – right across the street from each other. And don’t miss downtown’s numerous museum stores, shops and plethora of eclectic boutiques nestled in The Heights and Hillcrest, two of the city’s oldest neighborhoods. Hot shopping spots are varied and plentiful in the Greater Little Rock area. Big-name stores and hip new retail destinations populate the expanding west side, while Midtown offers two malls — one indoor, one outdoor — right across the street from each other. When it comes to antiques, fine art, toys, books, menswear, beauty, gourmet kitchen finds, outdoor gear and jewelry, the city’s locally owned retailers run the gamut. Folks here love to shop small, but if the mood strikes, the big box retailers are here, too. Don’t miss downtown’s numerous museum stores, shops and plethora of eclectic boutiques nestled in The Heights and Hillcrest, two of the city’s oldest neighborhoods. 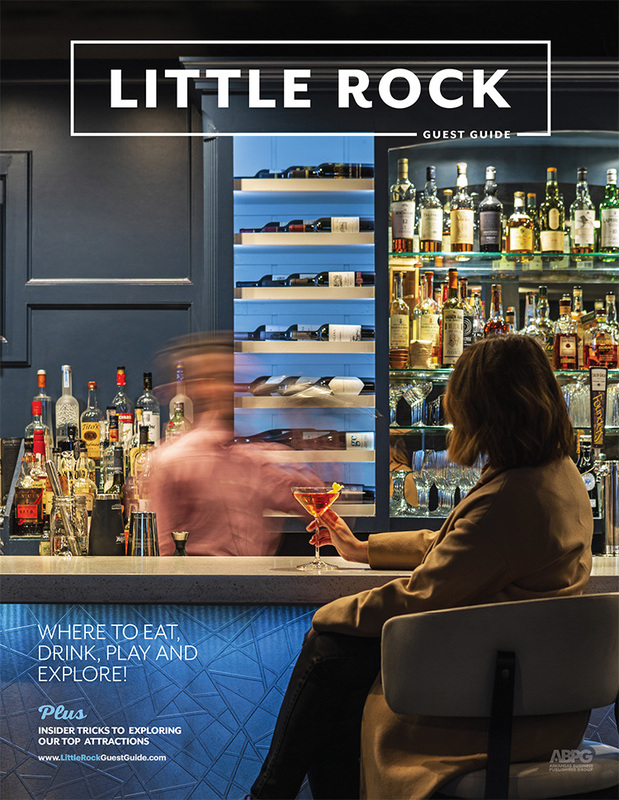 There’s also plenty to peruse in North Little Rock’s historic Argenta Arts District, and its McCain Mall and surrounding shopping strip centers tempt visitors to spend the day looking for just the right souvenirs. The Central Arkansas Library System’s (CALS) art program is located in the Arkansas Studies Institute building, which houses four art galleries. The Butler Center galleries include a retail gallery featuring the work of Arkansas artists, as well as galleries featuring rotating exhibits and works from the CALS permanent collection. Original paintings, pastels, photography, woodworking, sculpture and ceramics can be found in the retail gallery. A percentage of sales benefit the acquisition and conservation of the library’s permanent collection of Arkansas artwork. Open 9 a.m.-6 p.m. Monday-Saturday. This unique store offers three floors of gently read books at greatly reduced prices, one-of-a-kind gifts, jewelry, greeting cards, stationery, children’s items and more. The Bookends Cafe offers sandwiches, coffee, salads and desserts. Open 9 a.m.-5 p.m. Monday-Saturday and 1-5 p.m. Sunday. 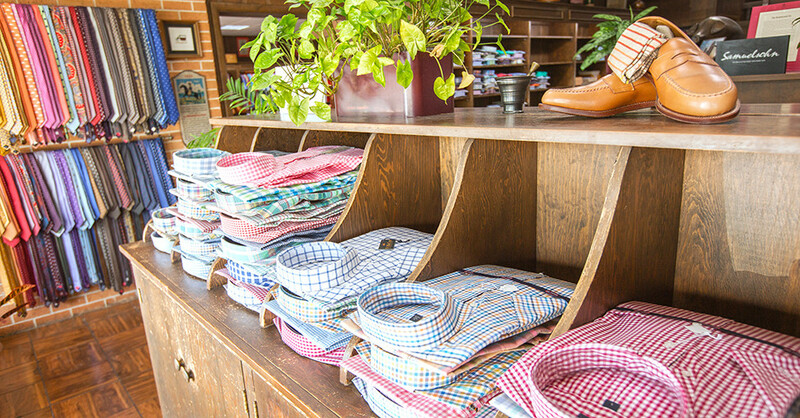 Central Arkansas’ leading provider of gentlemen’s clothing. Walk into Mr. Wicks and feel at home. Located in the Heights neighborhood of Little Rock, we have been providing men from all over Arkansas, fashion that actually fits since 1960. Whether you’re looking for that right pair of jeans or khakis, or the perfect suit — or maybe even that special tuxedo — Mr. Wicks can make sure you stay wardrobe ready. Walk into Mr. Wicks. Open 10 a.m.-5:30 p.m. Monday-Friday and 10 a.m.-4:30 p.m. Saturday. Closed Sunday. Haus Werk is an upscale and eclectic boutique showcasing local artists and artisans. Open 10 a.m.-5 p.m. Monday-Friday and 10 a.m.-4 p.m. Saturday. Indigo is a women’s clothing boutique that specializes in designer denim for all ages. Indigo is one of the largest denim vendors in the world while also carrying the latest trends in tops, shoes, handbags and jewelry. We strive to make women feel their absolute best, no matter the occasion. Individuality of style and personality is what drives this business, and we’ve made it our mission to provide clothing for any and all types of women. Indigo is a one-stop shop to help you look your very best. Instagram, Facebook: @indigolittlerock. Open 10 a.m.-9 p.m. Monday-Saturday and noon-6 p.m. Sunday. The Little Rock Farmers’ Market is the largest continuously operating farmers’ market in Arkansas. Located in the two open-air pavilions behind Ottenheimer Market Hall and overlooking Riverfront Park and the Arkansas River. It is a public market, filled with farm-fresh produce, straight from the backs of trucks. Join us on the Second Saturday of each month for special Farmers’ Market guests and events. Support local farmers and find bargains on fresh Arkansas crops, and enjoy a bountiful array of handmade arts and crafts made by local artisans. Open 7 a.m.-3 p.m. Saturdays, May-September. The Arkansas Arts Center seeks to ensure that learning, inspiration and creative expression in the arts flourish throughout Arkansas for people of all ages and backgrounds. The Museum Shop supports this mission by offering artists and artisans from the state and the region a platform to showcase their work to national and international audiences. Open 10 a.m.-5 p.m. Tuesday-Saturday and 11 a.m.-5 p.m. Sunday. Visit the Arkansas Flag and Banner showroom and gift shop, located on the first floor of the historic Taborian Hall on the corner of Ninth and State Streets, in downtown Little Rock, Arkansas. In business for 43 years, we offer an old school shopping experience with department store variety, free front door parking and clerks to help. Spend the afternoon browsing our military gift aisles, razorback fan cave, patriotic clothes, dishes, housewares and auto accessories. Plan to stay awhile, you won’t believe how much we have. There is a jewel on the third floor, ask about it. Not sure what souvenir to choose? Our friendly clerks will help. Buying a home flag display is not as easy as it sounds. Let our flag experts walk you through your options for mounting and displaying your flag of choice. Sound too bulky to take home, no worries, we will ship it to you. Open 8 a.m.-5:30 p.m. Monday-Friday and 10 a.m.-4 p.m. Saturday. The Clinton Museum Store, conveniently located in the lobby of the Clinton Presidential Center, offers a diverse selection of unique memorabilia and gifts, including books, accessories, collectibles and more. The Museum Store also features items related to the Clinton Center’s current temporary exhibit. Open 9 a.m.-5 p.m. Monday-Saturday and 1-5 p.m. Sunday. Take home a handcrafted piece of local art, like a piece of our artisan jewelry or unique wall or garden items. Kids love our Folkmanis puppets and educational games. We specialize in decor and gifts for the changing seasons and our inventory is ever evolving. Visit us often at the GardenShop at Garvan Woodland Gardens. Open 9 a.m.-6 p.m. daily February 1 through mid-November and 3-9 p.m. mid-November through December 31 during Holiday Lights. Closed Thanksgiving Day, Christmas Day and the month of January. Browse a variety of unique Arkansas-made jewelry and gifts. Whether you are looking for a new piece of art for your collection, an educational souvenir or a special gift, the Museum Store is a one-of-a-kind shopping experience. Books, educational materials, scarves, quilts, kitchenware, art pottery, knives, toys, jewelry and more. Open 10 a.m.-4:30 p.m. Monday-Saturday and 1-4:30 p.m. Sunday. Find an anthology of classic, historic and contemporary books, including children’s books that connect African American life and Civil Rights Movement. The gift shop offers an assortment of unique gifts and souvenir items. Open 9 a.m.-4:30 p.m. Tuesday-Saturday. The Old State House Museum Store features exhibit-related books, jewelry, posters and more. Located in Arkansas’ first capitol building, the store helps preserve and interpret history. Open 9 a.m.-5 p.m. Monday-Saturday and 1-5 p.m. Sunday. At The Popcorn Spot we transform plain popcorn into over 40 different flavors! From jalapeno cheddar to dill pickle to chocolate, caramel and nuts — you name it and we will most likely make it! If we don’t, ask and we can custom mix it for you! At The Popcorn Spot, there’s no limit to your taste buds or your imagination when it comes to appreciation and giving to others. Come see us at The Popcorn Spot — it’s always on and poppin’ y'all! Open 10 a.m.-7 p.m. Monday-Saturday and 1-5 p.m. Sunday. Rock Town Distillery is the first of its kind in Arkansas, an artisan craft distillery that uses grains from Arkansas to distill award-winning spirits. In addition to its whiskey, bourbon, vodka and gin, find Arkansas souvenirs, copper mugs, tanks and T-shirts, flasks, used barrels, shot glasses and more. Gift cards available. Open seven days a week. Visit website for hours. Tour hours: Monday-Friday tours at 2 p.m. and 4 p.m.; Saturday tours at 1:30 p.m., 3 p.m. and 4:30 p.m.; Sunday tours at 1:30 p.m. and 3 p.m.
Little Rock’s one-stop shop for destination merchandise: apparel, postcards, coffee and travel mugs, magnets, pens, children’s and specialty holiday items, books and more, including a new selection of locally made products, perfect for gifting family and friends. New items added on a regular basis. Open 8 a.m.-6 p.m. Monday-Saturday. At Shop@Heifer, you’ll know the story behind every item of home decor, piece of jewelry, book, handicraft and food product you purchase. All products are ethically sourced and artisan-friendly. It’s not just shopping — it’s an investment in someone’s life. Open 9 a.m.-5 p.m. Monday-Saturday. Shop and save up to 70 percent at over 65 outlets including favorites, Banana Republic Factory Store, Cole Haan, Tommy Hilfiger, Lucky Brand, Gap Factory Store, LOFT Outlet, Old Navy Outlet, Under Armour, H&M and more. Conveniently located at the intersection of I-30 and I-430 at exit 128. The Everyday Chef offers the essentials for cooking and entertaining. 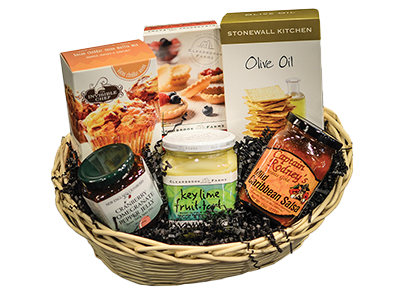 We’re a retail store that offers kitchen and dining products for the bride-to-be as well as the seasoned chef in you. Specializing in providing cookware, tabletop, serving accessories and gift baskets for all occasions. The Everyday Chef also offers cooking classes with local and out of town chefs to add to your culinary talents. Open 10 a.m.-5:30 p.m. Monday-Friday, 10 a.m.-5 p.m. Saturday and 1-4 p.m. Sunday.